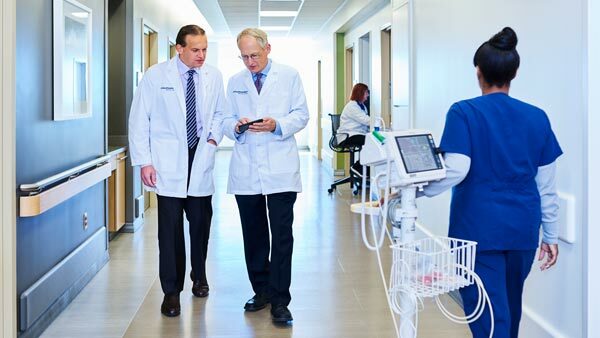 UT Southwestern Medical Center’s nationally recognized Kidney Transplant Program has performed more than 500 kidney transplants since 2007 – experience and expertise that result in exceptional patient outcomes. Our three-year renal graft survival rate correlates with the national average, and our physician-to-patient ratio is among one of the nation’s highest. These strengths enable us to provide patients with more personal attention and promptly address issues that can greatly improve care and outcomes. transplant specialists are equipped to help kidney failure patients who have run out of other treatment options. Our team’s specialized training and skills allow us to treat patients with even the most complicated cases of kidney disease, including those with other serious medical conditions, such as cardiovascular disease. UT Southwestern accepts many patients who have been turned away by other centers. Ongoing research is vital to the success of our program. As an academic medical center, we take part in a number of clinical trials and other research aimed at improving patient care and outcomes. Clinical trials give patients access to the most promising new treatments before they are available to the public. 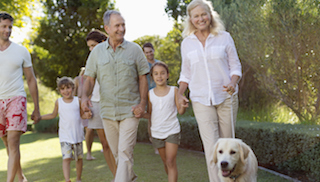 Talk with our doctors to learn if participating in a clinical trial is available. UT Southwestern’s comprehensive Kidney Transplant Program delivers multidisciplinary, patient-centered transplant medical care. Our team includes nephrologists (kidney doctors), surgeons, and specialized nursing staff, as well as cancer imaging and infectious diseases specialists, transplant coordinators, social workers, nutritionists, pharmacists, and financial coordinators. This team of specialists works together to provide ongoing medical management and facilitate the process for patients and families every step of the way – from patients awaiting kidney transplants to those who have already received them. This care includes comprehensive outpatient treatment of transplant recipients, such as infection prevention, immunosuppression management, and long-term monitoring and care. For our patients’ convenience, the Kidney Transplant Program extends far beyond Dallas/Fort Worth. Our kidney care satellite clinics are now located across Texas – in Amarillo, El Paso, Fort Worth, Lubbock, and Richardson/Plano – allowing patients to easily access world-class kidney care before and after their transplant surgeries in Dallas. The kidney transplant process includes multiple phases, each of which is part of a synergetic program of care focused on a single, overall goal: the delivery of exceptional outcomes to patients, their families, and referring physicians. 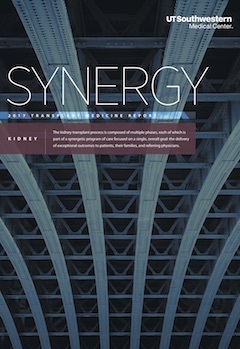 UT Southwestern Medical Center’s kidney transplantation program has a reputation for innovations and outcomes that are among the best in the country. Transplant Intake Coordinator: Helen Bankston, RN, B.S.N. Complete our kidney transplantation application in either English or Spanish.